Davidson are a leading player in the luxury furniture design market. Located in the Design Centre, Chelsea Harbour, Davidson are currently celebrating thirty years of business dedicated to the finest British craftsmanship. Davidson is now synonymous with contemporary elegance with a style that continues to evolve. The furniture combines perfect proportions with beautiful lacquered finishes to create timeless luxury pieces. 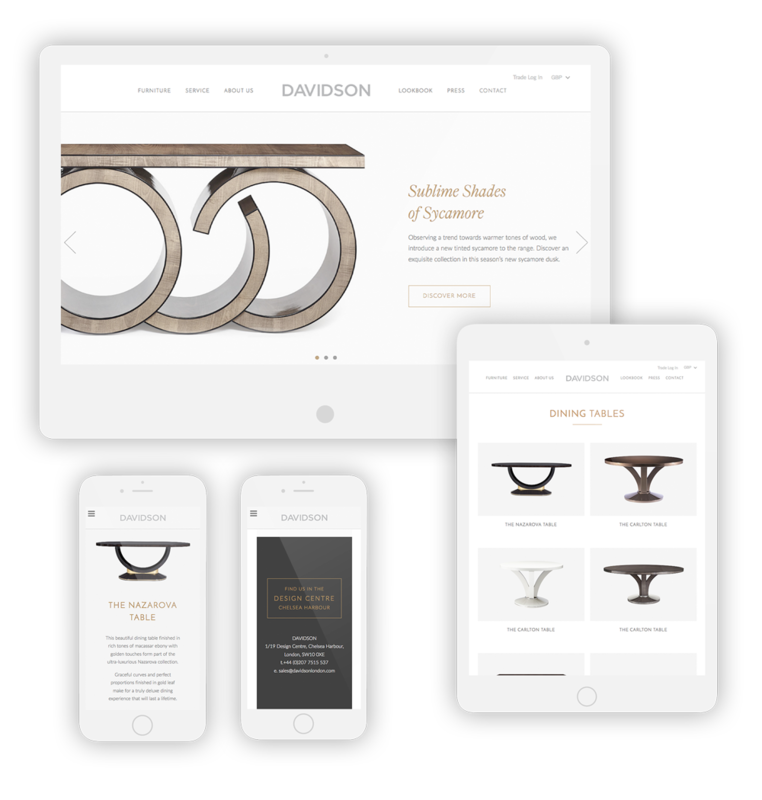 We carefully designed each page with responsive in mind ensuring that mobile users get the same luxury experience as desktop and tablet users. 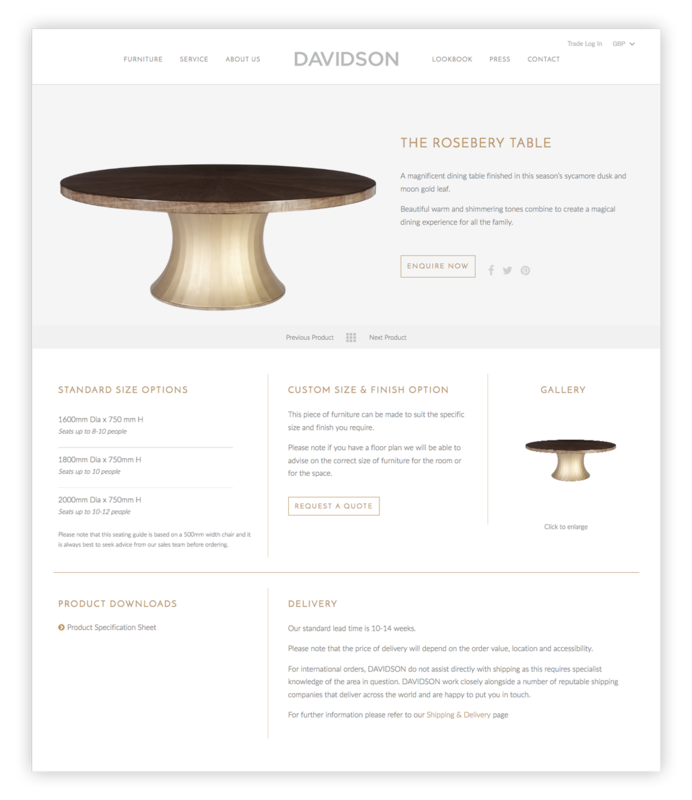 For the Davidson product pages we wanted to show off the craftsmanship and beauty of their furniture. We custom designed the product page using big imagery for maximum impact whilst keeping the product description and call to action button above the fold for impulse enquiries. Beneath the fold the user can view standard size options for that product and view additional imagery. When clicked the gallery image launches in full screen again for maximum impact. Further down the page the user can download and print the product specification sheet. We created a trade account so when logged in the trade user has access to additional downloads and trade prices that are not available to regular users.